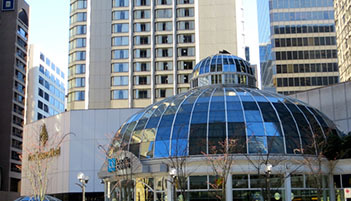 PCCA and A4M are teaming up again to bring you Canada&apos;s next biggest hormone replacement therapy event in Vancouver. This program is specially designed to reinforce the TRIAD approach between the practitioner, the pharmacist, and the patient. This program will prepare both the healthcare practitioner that is new to HRT as well as the experienced practitioners, nurse practitioners, physician assistants, or any licensed healthcare practitioner with the necessary clinical skills for their practices. If you are looking to dive into this rewarding niche or reinforce your knowledge and learn the latest in evidence-based research; don’t delay and register today as this is the event to attend! The 2017 Canadian Compounding Pharmacist of the Year will be announced. Who will be the recipient? Dr. Wendy, owner and primary Naturopathic doctor at Harmony Health Naturopathic Clinic, has always had a strong belief in health and wellness. 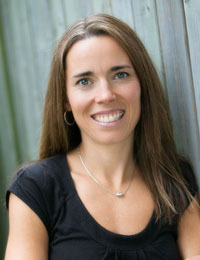 She completed her first degree, Bachelor of Kinesiology at McMaster University, and her second at the Canadian College of Naturopathic Medicine. She operates a family practice based on a commitment to discovering the root cause of her patient’s health concerns, and treating them with various dietary, lifestyle and Naturopathic therapies. Open communication and education are fundamental in her practice as she believes her patients need to take a primary role in their health and healing. In addition to mental health, Dr. Wendy enjoys working with hormonal and digestive concerns, allergies and auto-immune diseases. Dr. Wendy is able to bridge the gap between conventional and Naturopathic medicine and believes that helping her patients regain and maintain their health is the ultimate goal. Sebastian Denison, BScPharm, RPh is a PCCA Training and Education Pharmacist who received his BSc in Pharmacy at the University of British Columbia. He worked at Northmount Pharmacy in North Vancouver for 11 years specializing in BHRT, veterinarian, pain and sports compounding practice. He also was the Manager of Pharmacy Operations with the 2010 Vancouver Winter Olympic/Paralympic Games, and then the Manager of the Whistler Olympic Village Polyclinic Pharmacy. Sebastian works with both the U.S and Canadian C3 education teams, the Pharmacy Student education team and also does pharmacist education symposiums and events. He is currently enrolled in Metabolic Medical Institute’s Fellowship in Metabolic & Nutritional Medicine Fellowship. Sebastian enjoys all aspects of compounding, and appreciates it value in a collaborative approach to patient care. 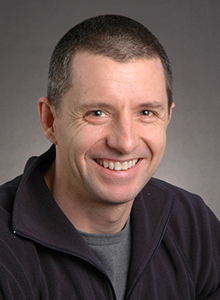 Dr. Gillson began his training with a PhD in Chemistry (Atomic Analytical Spectroscopy) from the University of Alberta and then earned an MD from the University of Calgary. He practiced Family Medicine for 6 years before moving to the Tahoma Clinic in Kent, Washington where Dr. Gillson worked alongside Jonathan Wright MD, one of the pioneers of the nutritional biochemical approach to chronic illness and disease prevention, and developed a special interest in the treatment of Multiple Sclerosis. Dr. Gillson was a consultant for several laboratories in the Pacific Northwest, in the field of steroid hormone analysis before founding Rocky Mountain Analytical, a private testing laboratory in Calgary, Dr. Gillson has experienced the challenges of clinical practice firsthand, understands the role of the laboratory in the practice of medicine, and has solid expertise in the nutritional/natural approach to medicine. He continues to be the Medical Director of Rocky Mountain Analytical and lectures for the Fellowship of Anti-Aging, Regenerative and Functional Medicine, and for many other organizations nationally and internationally. He brings extensive knowledge, experience and expertise in the field of Metabolic Medicine. His background fits well with the talented medical and professional team of Integrative Health Practitioners, positioning EvolveWell to be the premier Integrative health centres in Calgary. 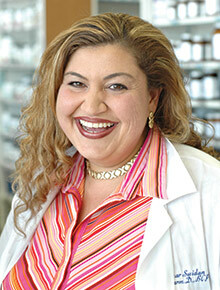 Dr. Sahar Swidan obtained her Doctor of Pharmacy degree from the University of Michigan and then she completed a 3 year research fellowship in Bio-Pharmaceutics at the University of Michigan. She previously was the Director of Pharmacy at Chelsea Community Hospital and the clinical pharmacist for the inpatient head and chronic pain service. Currently she is President & CEO of Pharmacy Solutions in Ann Arbor, MI which is a unique, personal and educational specialty pharmacy and Clinical Associate Professor of Pharmacy at the University of Michigan, College of Pharmacy. 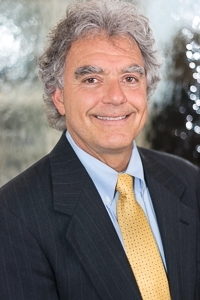 Dr. Swidan is board certified and an advanced fellow in anti-aging and regenerative medicine. Dr. Swidan is an internationally known speaker in the areas of pain management and BHRT and she has authored several books, articles and patient education material in the area of pain management and functional medicine. Currently, she is completing a Master’s program in Cardio-Metabolic and Functional Medicine. Filomena Trindade, MD, MPH, ABAARM, ABFM, FMNM is a teacher, author, and international speaker in functional medicine. She is a graduate of the fellowship in Anti-Aging, Regenerative and Functional Medicine and teaches in the Fellowship (a Master's program through the Morsani School of Medicine, University of South Florida). In addition, she is faculty at the Institute for Functional Medicine (IFM). After obtaining her BA degree in Biology she went on to finish a Master's in Public Health in the area of environmental health and epidemiology before starting medical school. She graduated first in her class in family practice from the University of California Davis School of Medicine and did her residency training in family practice at the U.C. San Francisco/Santa Rosa Program. She has been in clinical practice for over 20 years. Before starting her own private practice in 2004 in functional medicine she was the medical director of a non-profit organization that catered to the underserved. Her work has been published in Townsend Letter, Guide to Anti-Aging & Regenerative Medicine, Saúde Actual, and the Border Health Journal among others. She is currently very active in developing teaching programs in Functional Medicine in the USA, Latin America and Europe. Keep up with her activities at www.drtrindade.com. For those practitioners who currently work with a PCCA member pharmacy, or non-member PCCA pharmacies, please call PCCA Canada at 1.800.668.9453 to register.